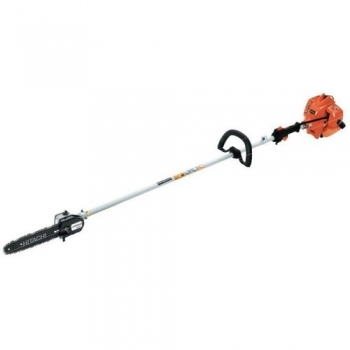 The Hitachi CS25EPB(S) is a 25cm bar pole chain saw with an overall length of 2100mm that is suitable for pruning high branches. It is powered by a 26.9cc 2-stroke engine with S-Start and 600mm and 900mm extension shafts are available as options. With S-Start up to 50% less pulling force is required. It is ideal for those who like to have smooth, easy pull engine starting. It is also suitable for professional users who can save time and energy from the reduced effort required.